From its inception in 1895, Holston United Methodist Home for Children has dedicated itself to providing a home for children who are unable to live with their loved ones and fostering a strengthening environment for children and families under hardship. 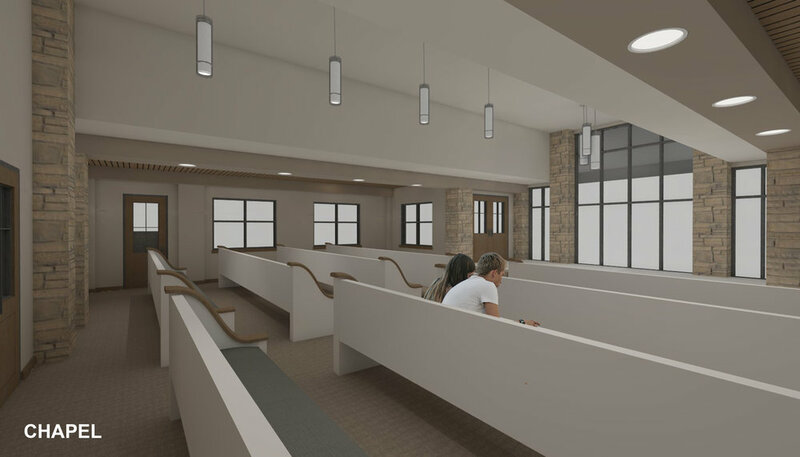 In an effort to expand activities and spur community involvement on its 155 acre campus in Greeneville, Tennessee, HHC sought to implement a new Christian Life Center with the help of TWA. The new building will feature an expansive two-story gathering hall incorporating natural stone and wood timbers and an observation deck overlooking the site entrance. It will also accomodate a 100 seat chapel, 250 seat multi-purpose room, an activities room, offices, and meeting rooms. The completed center will bring a new visual presence to the campus while equipping HHC to grow and engage their community.